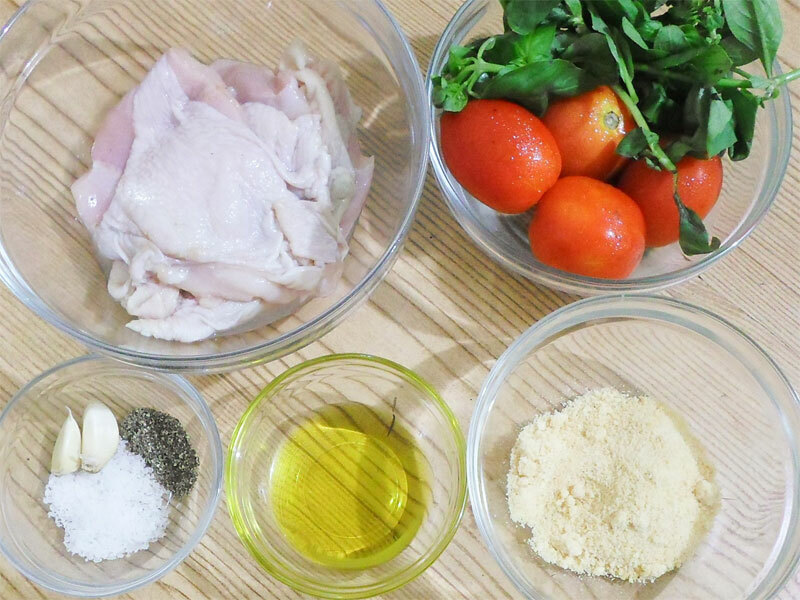 Want a quick and easy ‘gourmet’ entrée recipe? 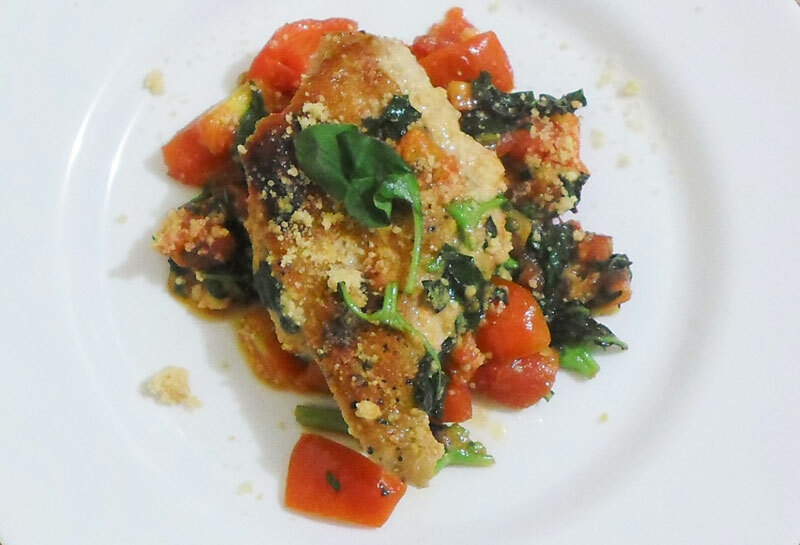 Check out this recipe for tomato basil chicken. 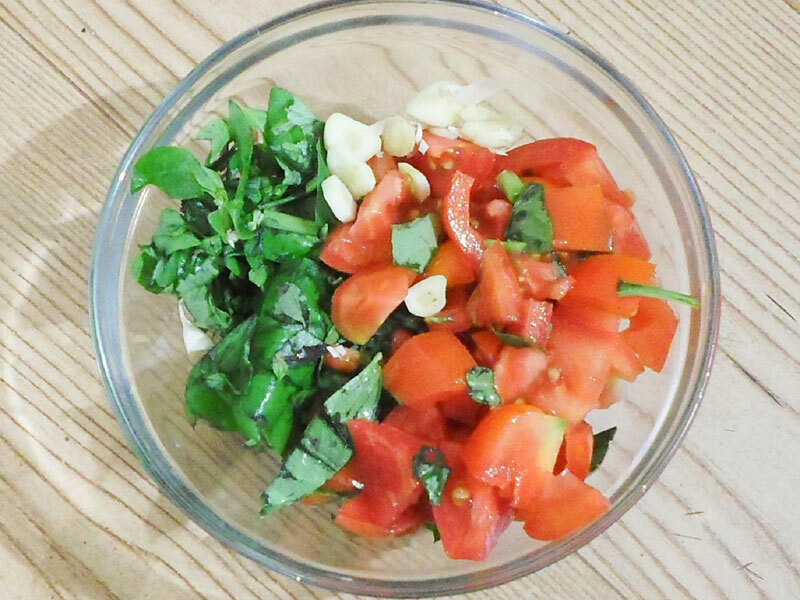 Besides being healthy with all fresh ingredients, this recipe is reminiscent of warm weather and luscious Mediterranean summers. 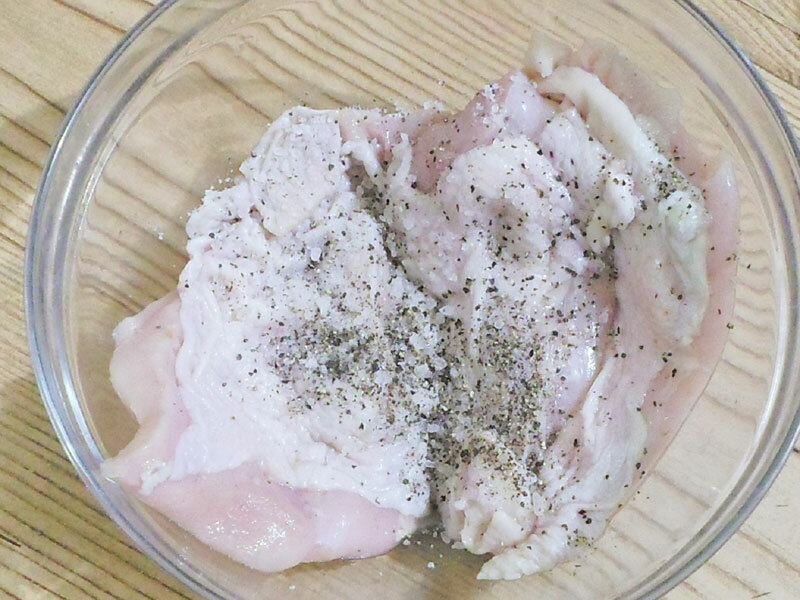 3 Season the chicken breasts with rock salt and pepper. You may use table salt but the rock salt lends a more rustic appeal to the dish. 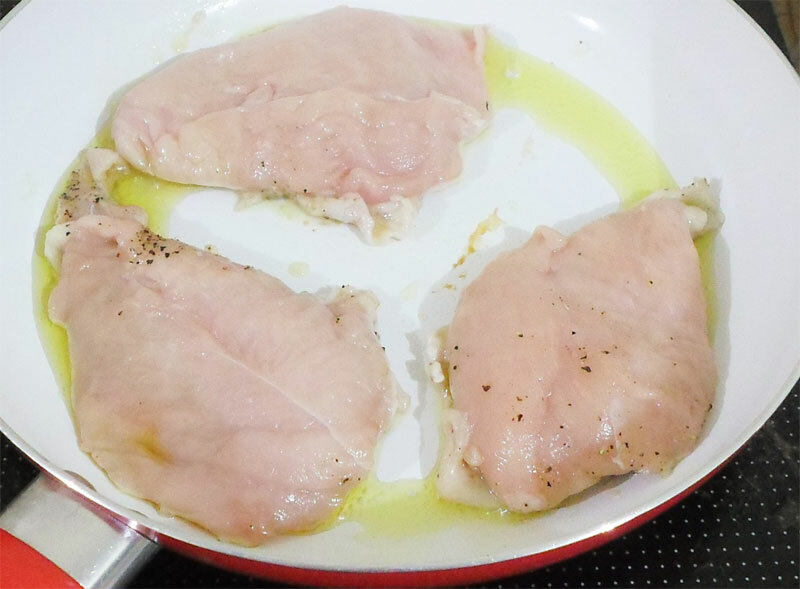 4 In a preheated pan over medium-high heat, place the chicken skin side down with the oil. 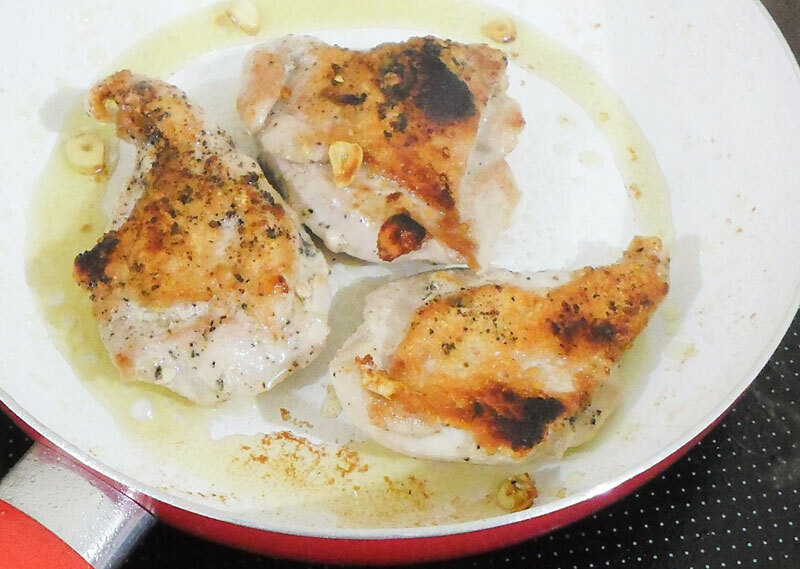 5 Add the garlic and allow the chicken to brown on both sides, turning once. 6 Once both sides are adequately crisped up, add the tomatoes. 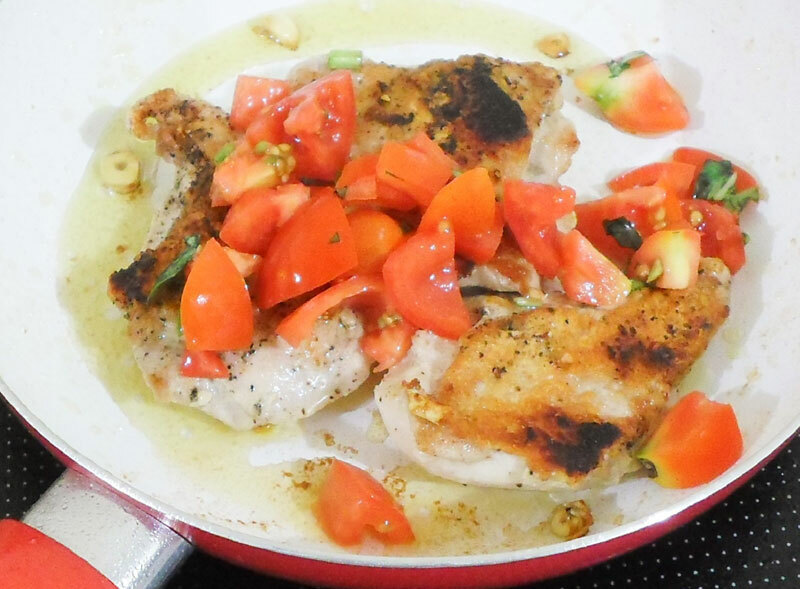 Sauté for about 3-5 minutes until the tomatoes have softened and some of it has formed a sauce with the olive oil and garlic. 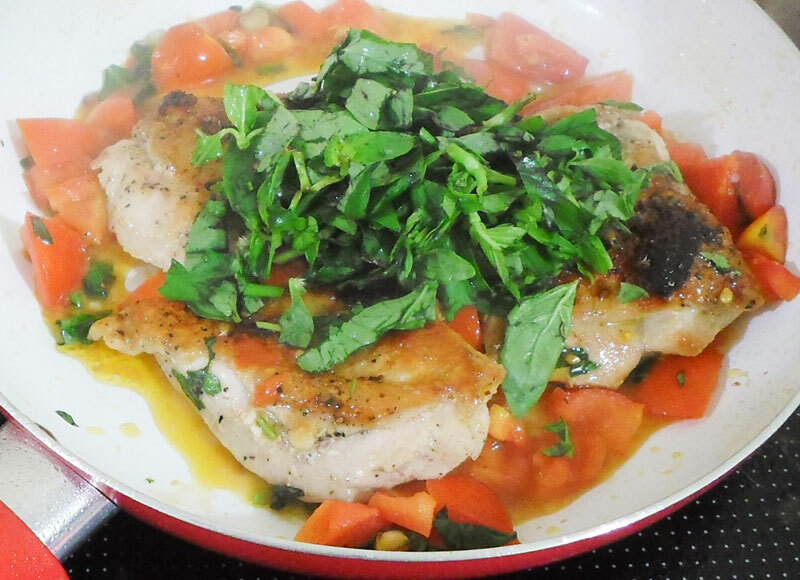 7 Add the basil and cook for another minute. 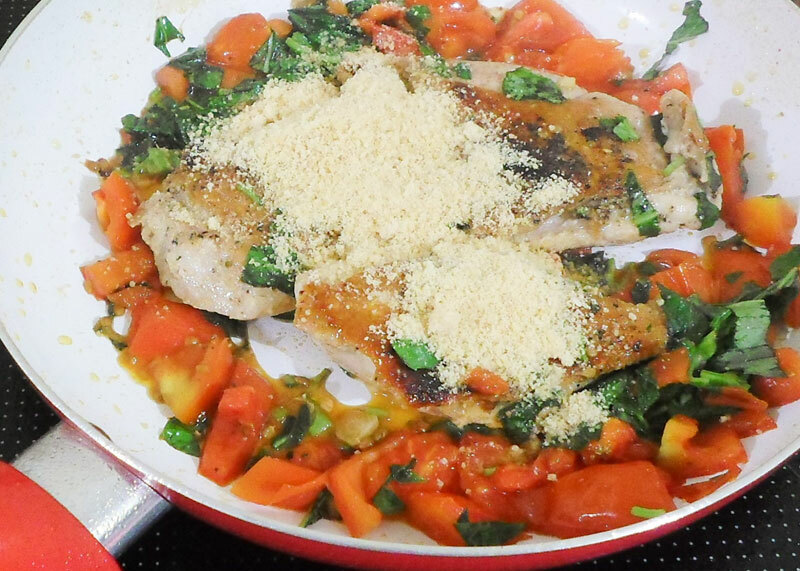 8 Sprinkle generously with grated parmesan cheese and remove from heat. 9 Makes 2-3 dinner sized servings. Best served with mixed vegetables.